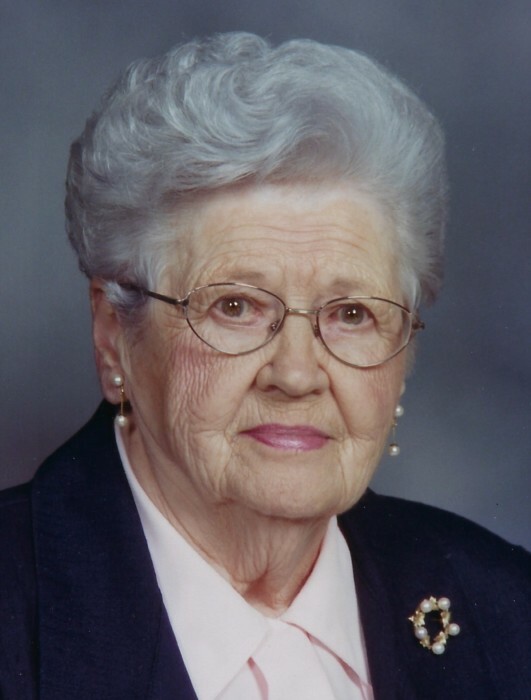 Margaret E. "Peg" (Kredel) Bucklen, 102, of New Brighton, passed away in her home on Saturday, August 19, 2018, surrounded by her loving family. Born February 9, 1916, in New Brighton, a daughter of the late Howard E. and Jessie (Milne) Kredel, she was a faithful member of the Trinity Evangelical Lutheran Church of New Brighton for 102 years. She was a member of the New Brighton Century Club. She was preceded in death by her husband, Robert E. Bucklen; brother, George Kredel; son-in-law, Eugene D. Kisic and grandson, Gregg Kisic. Surviving are her daughter, Nancy B. Kisic, Daugherty Twp. ; son and daughter-in-law, Marco and Cynthia Bucklen, Dallas, Texas; grandchildren, Leigh Ann (Roger) Eppley, Wendy (Vince) Farelli, Brian (Coleen) Kisic, Deborah Kisic; great-grandchildren, Amanda Farelli, Brittany (David) Vasil, Zachary Farelli, Nick Kisic, Dylan Kisic, Jacob Kisic and Isabella Aquino; four nephews, George (Patty) Kredel, Father Tom Kredel, William (Pam) Kredel and Michael (Nancy) Kredel and one niece, Linda Heistand. Friends will be received Wednesday from 2 to 4 and 6 to 8 p.m. in the J&J SPRATT FUNERAL HOME, 1612 Third Ave., New Brighton, www.jjsprattfh.com. On Thursday, friends will be received from 10 a.m. until time of funeral service at 11 a.m. in the Trinity Evangelical Lutheran Church, 1001 10th Avenue, New Brighton, with the Rev. Angela Smith officiating and assisted by Peg's nephew, Rev. Father Tom Kredel. The family wishes to thank Heritage Hospice and Gallagher Home Healthcare for the wonderful care given to their loved one.